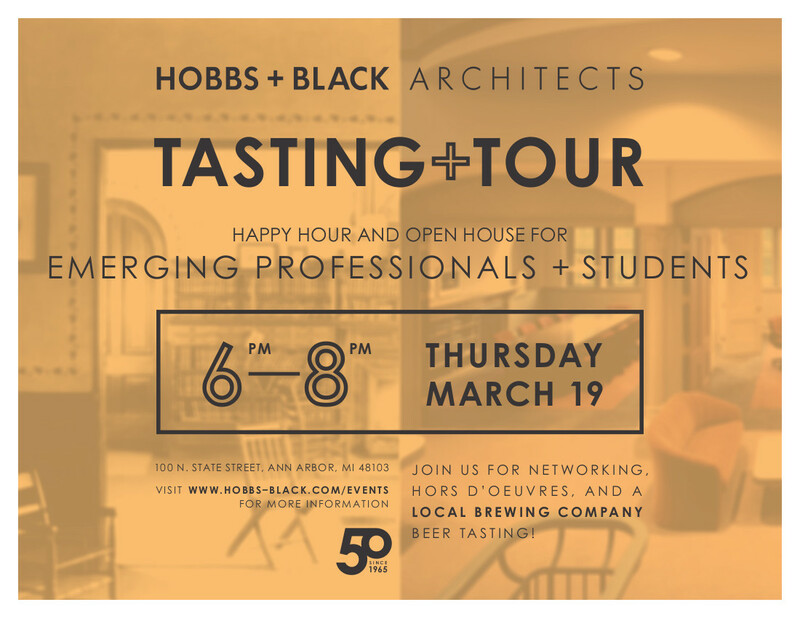 Emerging Professionals, Associates, and Students: You have been invited to join your peers at the office of Hobbs + Black Architects for a         Tasting & Tour! As part of a celebration of their 50th Anniversary of operation, the office of Hobbs + Black Architects is hosting an open house at their Ann Arbor office, targeted particularly at Students and Emerging Professionals. There is no cost to attend this event. Please RSVP to this event so H+B can get an accurate count for refreshments. Refer to attached flyer for additional information.